Summer is such a fun time, but in Kansas it is HOT…sometimes miserably hot! If we catch a nice day then we try to go hiking, but it is rare in the summer. The best time to be outdoors is usually in the evening when the sun is down! The only problem can be that is is DARK. The good news is that you can still have fun with your family outside in the dark! 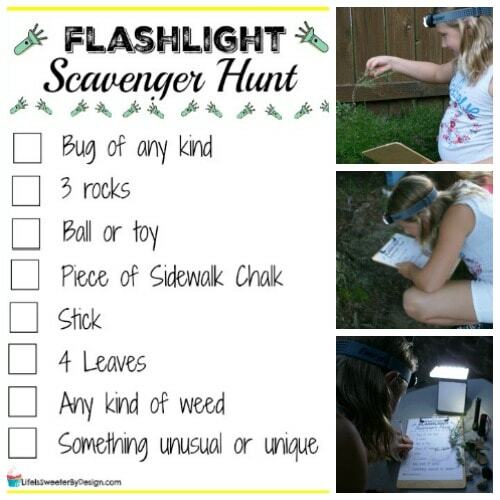 One fun way to have fun in the evening with your kids is to have a FLASHLIGHT SCAVENGER HUNT! 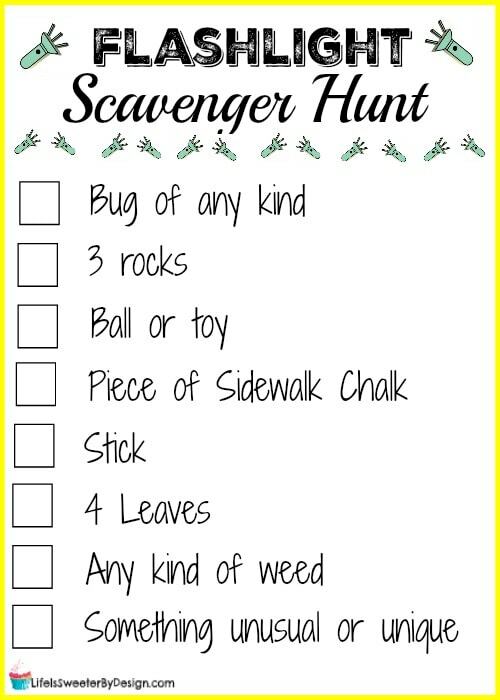 A scavenger hunt is basically just a game where participants gather up miscellaneous objects in a given area. 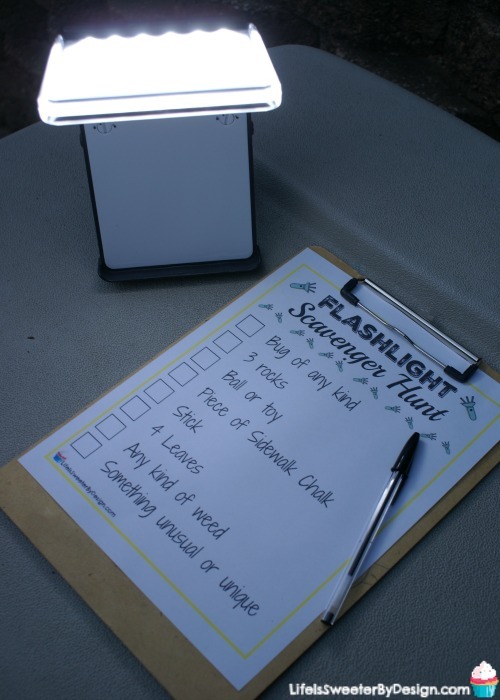 A Flashlight Scavenger Hunt is the same thing except you are doing it at night in the dark with flashlights! First you will want to set your rules. We like to have our front and back yard be our game area. You can do just your back yard if you want…whatever works best for your family. The kids know that they have to stay in those areas (this is also important for safety since it is dark). 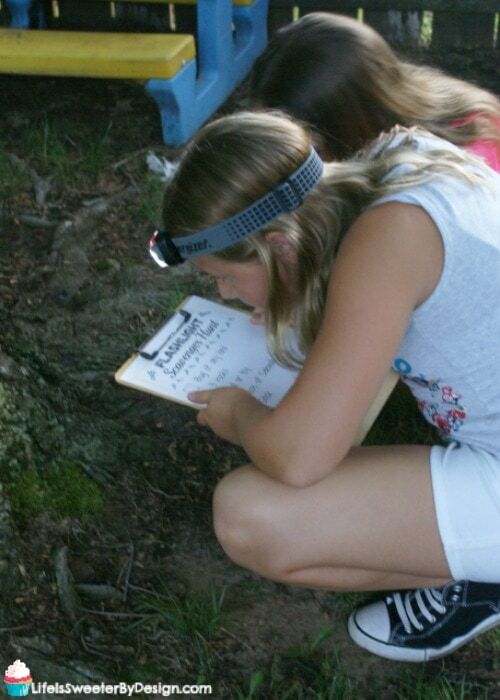 Decide what you will be hunting for during the Flashlight Scavenger Hunt. I have included a free Flashlight Scavenger Hunt printable for you to use if you would like! You should base your list on things that are naturally in your search area. 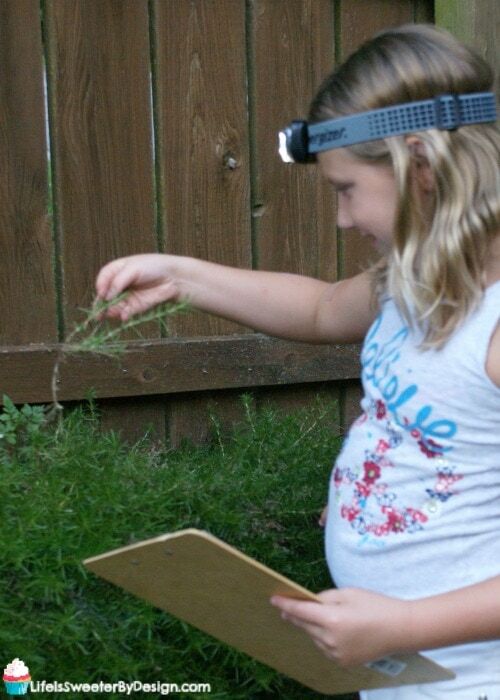 Remind your kids that you don't expect that they will find every object on the list! The person who finds the most objects will win. If you prefer you can just have it be for fun with no winner! You can use standard handheld flashlights or you can be hands free and use the Energizer® Vision HD + Focus LED Headlight. This is a really fun way to play because both hands are free and this headlight is bright! It cracks me up to see the kids playing with their headlight on! There is no way your kids will miss what they are hunting for with the 80M beam distance. Energizer headlights are lightweight, versatile and water resistant with pivoting functionality to direct light where you need it. This is awesome for parents…less chance of breaking with clumsy kids!! I like to set up a home base where the kids can bring the treasures they have found on the hunt. It is typically just the table in our back yard or even on the trampoline. It is fun to light up this area of the yard. I set up our Energizer® Fusion LED Folding Lantern on the table so the kids know where home base is at! Energizer area lanterns are the safe, reliable way to provide bright 360° light long into the night, at the camp fire, or while weathering a storm. We use this lantern for all sorts of things!! Be sure to click the image below to download your own free Flashlight Scavenger Hunt printable. Let the fun evening games begin! What are Your Favorite Outdoor Activites? We have a whole list of DIY Activites to keep our kids busy. What are some of your favorite ways to play? 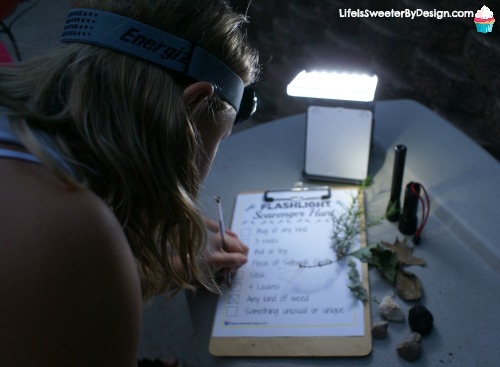 Have you tried a flashlight scavenger hunt before? Who won?? One of our favorite family activities is exploring the countryside by vehicle. We discover small towns and farms that we didn’t know about, and get to enjoy the peace and tranquility. That sounds like fun…we love to drive around the country too! My family loves bike riding and gardening together. Night time swimming is fun! we love to have campfires! My favorite family activity is camping. I like to hangout with a couple of cousins. We usually have a cookout like 2 – 3 times a month. Our whole family loved to bike ride. Oh I love so much when my granddaughter comes to visit. Our favorite activity is making quilt tents between chairs & having tea parties inside. We love geocaching as a family.